Aiming to support our community, we are opening up our doors to build a space of trust, empowerment, and self-love for women from the Northern Beaches. So, we invite you to once more for our Full Moon Women's Gathering. This time we celebrate the element of fire: Sagittarius. There will be a short standing Firey vinyasa practice with lots of twists to create internal heat. When the moon is in Sagittarius, its said to be a really important time to listen (to others and ourselves). So, our teacher Sam will guide and activity that women will pair up. Woman A will start by saying things like I love you or 'you are beautiful', or 'you are a goddess', and Woman B just has to respond 'Thankyou' nothing else. We do that one way for 2 mins and then switch it and then they have time to share how they felt with each other giving that love and receiving it. It's generally very hard for women to accept compliments so this can be quite a powerful exercise. After this exercise, Sam will ask them to write 5 things they love about themselves and then ask them to write 5 things to let go of in the full moon ceremony which are negative beliefs about themselves. This full moon ignites bravery within us so its a good time to be a bit bold with our circle and see how it goes. Sam is a local yoga teacher from several studios along the northern beaches. She is extremely passionate about working with women to build body confidence through a foundation of self-love. Coming from a background as a dancer, where body shaming and seeing women as the competition was a daily practice, she seeks to change this mindset amongst fellow goddesses. 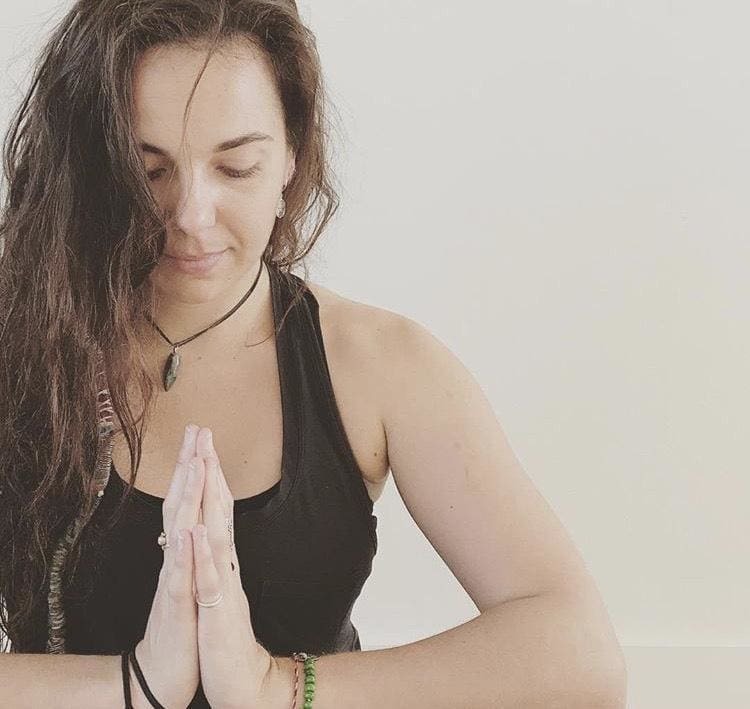 Fusing yoga, feminity, astrology and tantric practices, her dream is to empower and build a community of strong and supportive women with an abundance of body love. There is no cost for participation, but registering is essential as we want to keep this group small and intimate.